Now, the pop legend — heavy accent on legend — has posed for Michael Freeby to raise awareness for the charity Kids Beating Cancer. In case you're wondering, that's the charity's mascot Bunky the Bear in those snaps with the woman everyone dreams of encountering on The Love Boat. 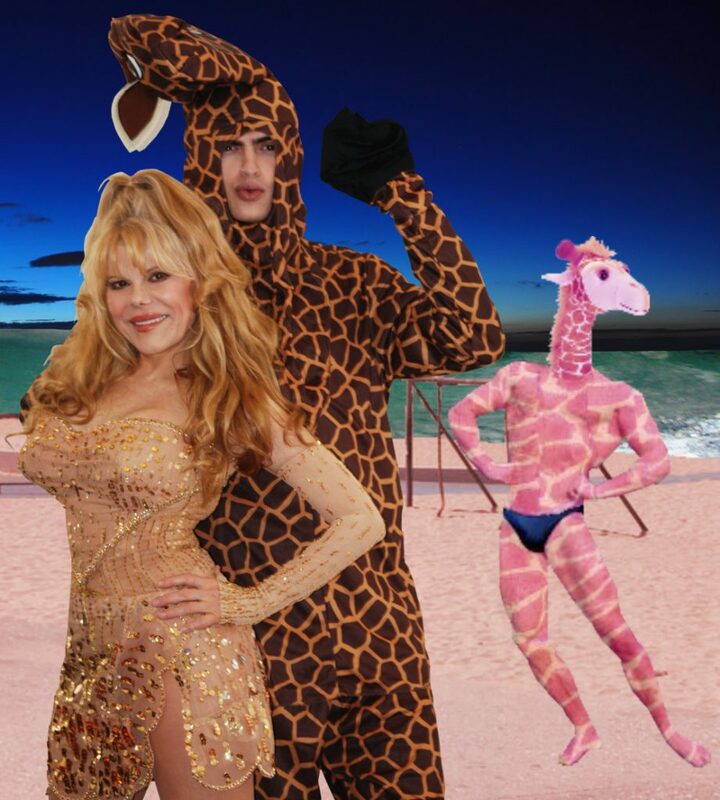 Keeping busy always, Charo's new single "Fantastico" from her upcoming album Guitar on Fire is out now. I'm looking forward to the album — her last one, Guitar Passion, won a Grammy. Face it — Charo is eternally cuchi-cuchi-cool!